The North Druid Hills community is an unincorporated area that is made up of numerous smaller neighborhoods. 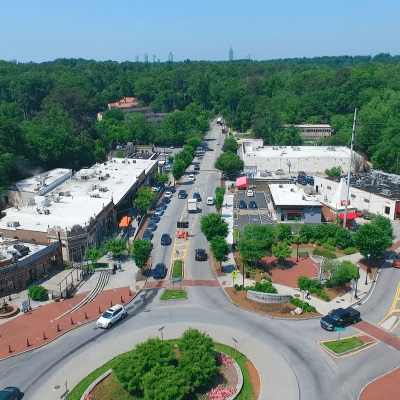 Also referred to as Briarcliff, this area at the intersection of the roads North Druid Hills and Briarcliff is known for its proximity to the Center for Disease Control and Preventions (CDC) and Emory University. The Fernbank Museum of Natural History is one of the most iconic attractions in Atlanta. Guests can find dinosaurs, IMAX movie screens, and traveling exhibits that will delight the senses. Great for guests of all ages, tourists and locals alike find themselves returning to the Fernbank again and again.